Oliver Ivanović (OI) is the State Secretary of the Serbian Ministry for Kosovo and Metohija. He is a member of the Social Democratic Party, former Speaker of the Serb National Council of Kosovska Mitrovica and former leader of Kosovo Serbs. He is a karate grandmaster. During the war, he was an active leader of Serbian home defense in the north of Kosovo. He was a member of the negotiation team at international talks on the status of Kosovo. Marko Jakšić (MJ) is the Vice Chairperson of the Association of Serb Municipalities and Settlements of northern Kosovo and Metohija and factual leader of Kosovo Serbs. He is a member of Vojislav Koštunicaʼs Democratic Party of Serbia and doctor at the orthopaedic clinic of the hospital in Kosovska Mitrovica where he has been a director until recently. He was a member of the negotiation team at international talks on the status of Kosovo. At the end of August during an orthodox holiday, several hundred persons of Albanian nationality prevented the Serbs from leaving the Christian cemetery in Đakovica. How do you perceive this incident and how did you react on it? OI: Despite being very unpleasant, it was definitely an expected incident. We knew the sentiments among the Albanians and that they were not for the return of Serbs, although their leaders and political representatives spoke of their return frequently and very affirmatively. They have been inviting Serbs to return guaranteeing verbally their security, freedom of movement and everything that creates certain political package of guarantees. When the Serbs came to see the temple during a holiday at the beginning of temple restoration, a very negative, although expected, reaction awaited them. It stood for a signal for the Serbs that they were not welcome in Đakovica. I was not in Đakovica that time. I was in Dečani where I was talking to these people and saw those who experienced the events in the temple and I was also talking to the organizers of this pilgrimage. We concluded that it would be sufficient if the ministry expressed its disapproval of as well as regret at this reaction and pointed out the differences between the formal positions of Kosovo Albanian politicians and real situation in the country. We didn’t want to abuse these incidents politically as this situation is not suitable for making political capital out of it. It is primarily owing to two reasons: this isn’t the style of this ministryʼs leadership and publicity would create yet less room for the return of the Serbs as these people have decided to return and they will return irrespective of the opposition of some individuals. MJ: The restoration of the destroyed temple in Đakovica started because a part of the international community wanted to show the world that there was an ordinary life in Kosovo and Metohija. Unfortunately just four female Serbs have been living in this town and just in an isolated part. Some western states want to demonstrate that the situation in Kosovo and Metohija is alright and therefore the construction of Serbian orthodox temple was commenced. The Serbs from the whole of Serbia came to see the launch of the works during a holiday. Strangely enough, this temple should be the ornament of the development in Kosovo and Metohija whereas in the rest of the world expelled populations return at first and only afterwards are the temples restored. Nowadays, however, the Serbs from Đakovica live primarily in the so–called Central Serbia. Solely four old women stayed in Đakovica. It is quite unreasonable to build temples firstly and only afterwards does the population return. Nonetheless, a part of western states want to demonstrate that everything is as it should be and therefore temples are being built on places where solely four old women live. The Albanians have got scared due to this single church service that the Serbs might return and felt the necessity to show the Serbs that they had nothing to do in Đakovica. Thatʼs why they intimidated them and prevented them from getting out of the bus leaving thus the message that there was no place for them in Đakovica. What does the ministry do for Kosovo and Metohija in order to stop the departure of Serbs and enable them to return? OI: It is a certain complex of measures, but questions of security and the freedom of movement are topics perpetually solved at various forums and on various levels. We consider the question of security pivotal. After ten years, the question of the economic survival of the Serbs in Kosovo becomes up to date owing to extremely bad economic situation. For this reason our ministryʼs policy concentrates on the establishment of economic conditions necessary for these people to stay there. This is carried out through a complex of motivation means aimed at the creation of small family businesses since we assume that this is the only real means of supporting the employment of the people. Our ministry along with other ministries of the Serbian Government established fairly tolerant employment conditions within budgetary organizations very soon. The last one or two years, however, it has been obvious that expectations will be met, namely that employment is not real: the people will be enabled to receive wages from the budget, but they cannot work efficiently. We furthermore provided the people with tremendous social benefits. On the basis of interim unemployment or return, the people got social aid: we helped them, based on the fact that they had returned, to surmount economically the period which followed after their return. Thus the aid has the form of organizationsʼ budgetary incomes as well as social benefits. Neither of the forms mentioned, however, creates among the people the necessity of producing or working creatively: therefore we chose a different concept of work the conduction of which must be gradual and cannot be linked with sudden changes. For the following period of two, three or five years we decided to redirect step by step the means from social aid or budget expenditures in budgetary organizations so that we within five years we are able to cut back drastically the number of recipients of budgetary means and step up rapidly the volume of motivation means for the creation of small family businesses. This is a pretty difficult realization concept, which, however, is necessary for the establishment of sustainable economic situation of Serbs as well as political stabilization so that the Serbs have reason to stay in Kosovo and Metohija. MJ: Unfortunately for more than a year we have been observing a very strange relation of the Serbian Government to the existence of Kosovo and Metohija in terms of Serbia. We should talk openly and honestly of the fact that the Serbian Government lies to the Serbian public. It has been sending signals to them and the world that it isn’t willing to recognize independent Kosovo. On the other hand it collaborates in practice with Eulex and other institutions of the European Union in establishing another Albanian state in the room of Kosovo and Metohija. Albanian state wouldn’t hold up here without Belgradeʼs help. When choosing between the EU and Kosovo and Metohija, Belgrade it decided for European Union accession and wrote off Kosovo and Metohija in fact. It didn’t confess that it recognized Kosovoʼs independence, but enables in practice the survival of all institutions of the Priština Government throughout the territory of Kosovo and Metohija, particularly in the north. This wouldn’t be conceivable without aid from Belgrade and Belgrade works on it. We expect that it will sign the so-called border contract with Eulex. Eulex will thus create a border which does not differ in any way from the border between Serbia and Hungary, Bulgaria or other states. Thatʼs the price for European Union accession which was determined by the one who constitutes the Serbian Government. We have to go one year back and realize that the Serbian Government was constituted with the aid of the embassies of the United States and United Kingdom. Therefore the Serbian Government has its commitments in relation to these countries. The countries in question are interested in the establishment of another Albanian state in the Balkans and the Serbian Government has to help them in view of the fact that it has been formed by the United Kingdom and the US. For this reason Eulex has come here regardless of the UN resolution No. 1244, exclusively on the basis of a direct agreement between President Boris Tadić and UN Secretary General Ban Ki-moon. Now, if Iʼm to answer your question, Belgrade doesnʼt simply do anything for making the Serbs, who fight against the existence of another Albanian state, their existence easier in this territory. It does the very contrary: it doesnʼt recognize openly Kosovoʼs existence, but along with Eulex and the Priština Government it has been establishing another Albanian state in the territory of Kosovo and Metohija. Another example is the writing off of Kosovoʼs debt. I was a member of the negotiation team in Vienna: we had essential remarks on the Ahtisaari Plan. We had seven remarks just on the question of Kosovoʼs debt in terms of which we asked that the debt incurred in the aftermath of the construction of objects and enterprises in Kosovo not be assumed by Kosovo. Its existence would be thus admitted in fact. These remarks were then the only position of Belgrade and the Government of Boris Tadić and Vojislav Koštunica. Tadić has now changed his mind and agrees that this debt, which the IMF will annul subsequently, will be delegated to Priština. Objects built in the territory of Kosovo and Metohija consequently wonʼt be a part of Serbia but Kosovo. Furthermore: the Serbian Government has already paid off more than two thirds of Kosovoʼs debt. Another example is the fact that the Serbian Government alongside Eulex wants to establish the so-called multi-ethnical judiciary in terms of which the Supreme Court of Kosovo would be the Supreme Court. The Government in Belgrade also helps to form the so-called KPS police (Kosovo Police Service, editorial note) under joint leadership of the Government of Hashim Thaçi. The Serbian Government lies not only to itself, but also to its friends around the world. Things that it does stand for the triumph of Albanian side before the International Court of Justice in The Hague. Every court will say that if Belgrade created a border inside its state, Kosovo should be independent. If it delegated Kosovoʼs debt to the Albanian side, i.e. Kosovo, it actually recognized its existence. If Belgrade agrees with the existence of independent legislation and independent legal system, why does it then demand a discourse concerning the status of Kosovo and Metohija before the International Court of Justice, if it has recognized Kosovo as an independent state in fact? Thatʼs why I say that Belgrade lies also to its friends – Slovakia, Russia, Spain and other states which didn’t recognize Kosovoʼs independence – by creating independent Kosovo in fact. For Belgradeʼs policy being successful, its support on the part of people living in the north of Kosovo is necessary. Do the Serbs in Kosovo and Metohija support the policy of the Serbian Government? OI: We have a strange situation here. Serbian inhabitants in Kosovo and Metohija back absolutely the Serbian Government only if there are no elections in terms of which these inhabitants express their political views. It is a consequence of the massive politicalization of the local people and abuse of the Kosovo issue by some political parties. People have political parties that they vote, which is perfectly alright. These parties at the same time needn’t be a part of the ruling coalition. For the Serbs in Kosovo and Metohija the Serbian Government is the only one which they recognize: thatʼs a relation that has been developing since 1999 and Iʼm convinced that it is going to develop yet further. MJ: An important fact is that the Serbs in Kosovo and Metohija uphold the government in Belgrade, but the government in Belgrade doesnʼt uphold the Serbs living in Kosovo and Metohija. Almost all Serbs in the north of Kosovo have been cut off the electricity supply for the last year. No voice of Belgradeʼs opposition has ever been heard. No one ever heard in this context that Belgrade exerts pressure on foreign embassies. Not only did Belgrade enable them to establish independent Kosovo, but it also left the Serbs in Kosovo and Metohija cut off the electricity and water supply. It is not about money, but the problem is that the Serbs, who pay for electricity, receive a paper and signing this paper, they recognize Kosovoʼs independence. The Serbs wanted to pay for electricity in the following way: one electrometer would have been placed in front of every Serbian village and they would have paid for electric power collectively. Nevertheless, the Government in Priština disapproved of this and demanded that every Serb, who gets electricity, sign a paper addressed to the bodies of the so-called Kosovo state. Thatʼs why the Serbs have been living without electricity for months and no voice of support has been heard from Belgrade. A vast majority of the Serbs in Kosovo and Metohija used to recognize institutions of the former electro-energy system and considered electro-energy companies in Kosovo a part of the Serbian state. The Serbs didn’t want to allow Kosovoʼs subjects into these businesses. Not only did the Albanians demand that the Serbs sign the paper through which they recognize factually independent Kosovo, but they also demanded control over these objects. In the end, the Serbs were forced to surrender these as they couldnʼt stand further months without electric power. Belgrade didn’t do anything to protect its Serbs. Therefore I say that the Serbs in Kosovo and Metohija support Belgrade but at the same time expect Belgradeʼs support. No matter if the Government of Boris Tadić, Vojislav Koštunica or, shall we say, Tomislav Nikolić is in power, for the Serbs in Kosovo and Metohija Belgrade remains a place which has been the centre of the Serbian state including Kosovo and Metohija since 1912. Belgrade, however, doesn’t back local Serbs owing to commitments to its mentors, who constituted the government, and due to the blackmail by the European Union owing to the EU accession, which is actually conditioned by Belgrade not helping the Serbs from Kosovo and Metohija. The factual condition is, for instance, the reduction of financial assistance to the Serbs, which Belgrade has already fulfilled. Current financial assistance to the Serbs in Kosovo and Metohija is by five times smaller than it used to be in the era of Mirko Marijanovićʼs Government: just remember what the economic situation was like in Serbia after the bombing. Assistance from the current government is five times smaller because every form of aid goes through US and British controllers, who determine exactly the volume of financial means which the Serbs in Kosovo and Metohija may receive. Thatʼs why for the first time a situation has arisen after ten years in which the Serbs in Kosovo and Metohija back the government in Belgrade, but this government doesn’t back the Serbs. What is the level of the cooperation between the Ministry for Kosovo and Metohija and local Serbian institutions like? OI: Cooperation is good, although they are mostly controlled by the Serbian Radical Party and the Democratic Party of Serbia, which are opposition subject. Everybody comprehends that the elections brought such results. Cooperation presupposes the division of power according to fair principles in the interest of people represented by political subjects and therefore we have to communicate. There are certain rules and if these rules are accepted, we have no problems with them. In some districts self-governments are dissolved in the aftermath of severe violations of law and repeated elections are organized within their bodies as well as particular districts. This, however, isn’t linked with political views or affiliation of these people. We would dissolve also local parliaments dominated by the Democratic Party if serious violations of law were detected. Cooperation between us functions without any bigger problems. MJ: On 11 May last year when Serbian parliamentary elections were held, also the so-called local elections in the territory of Kosovo and Metohija organized by the Serbian Government were held. Unfortunately, there is a big wall between the Ministry for Kosovo and Metohija and local self-governments, in which regular elections organized by the Serbian Government were held. The inhabitants of Kosovo and Metohija voted primarily the Serbian Radical Party and the Democratic Party of Serbia. Either the former or the latter, or mixed, has gained the upper hand over the local self-government in nearly all districts. The wall is here because the Ministry for Kosovo and Metohija doesn’t behave like the Serbs from these districts, but imposes interim measures on then, throttles them, doesn’t earmark sufficient financial means for them etc. The district of Gračanica, for instance, in which material costs linked with the development of infrastructure, construction of roads and water piping etc. amounting to around 500 Euro monthly are needed. This is meant to be sufficient for wages, communal services, cleaning and travelling costs. Though these are not big expenses, 500 Euro definitely doesn’t do to cover them. Members of ruling parties, predominantly the Democratic Party and the Socialist Party of Serbia, which have been changing their attitudes in comparison with the era of Slobodan Miloševićʼs Government, are the focal figures persuading the people to take part in local elections organized by Hashim Thaçiʼs Government. The ministry wonʼt admit it thus much overtly, but in practice the representatives of the Ministry for Kosovo and Metohija, i.e. the ruling nomenclatures, fight for Kosovoʼs institutions. The fact itself is rather demonstrative of the insincerity of Belgradeʼs policy in relation to Kosovo and Metohija. It is a well known fact that the relationship between you and Milan Ivanović and Marko Jakšić, who are the representatives of local Serbian institutions in Kosovo and Metohija, is not the best. How does this fact affect the cooperation between the Ministry for Kosovo and Metohija and local Serbian institutions? OI: My disapproval of them is principled: they are populist alternatives telling people what they want to hear. These people, however, arenʼt capable of explaining to the people what the consequences of these alternatives are like. For instance Kosovoʼs debt accounting for 535 million Euro written off by the World Bank is interpreted by the mentioned politicians as a surrender of Kosovo and Metohija. They talk exaggeratedly how our government betrays Kosovo and Metohija: this is sheer nonsense. It is unwise to demand that Serbia carry on paying off the debt, which was generated by Kosovo businesses for their own needs, to the World Bank in a situation when Serbia doesnʼt have access to Kosovoʼs territory owing to international protectorate and Kosovo institutions have taken over competences in the field of the collection of taxes and other incomes bound to the activity of these businesses. Serbia doesn’t benefit from them, so why should it continue in paying off debts that they have generated? For somebody, who has never earned more than his wage, 550 million may be a small sum. Anyone who hasnʼt any notion of the situation in Serbia may think this as well. Can Serbia afford such a luxury to pay 550 million Euro just because of very vague political ideas. Iʼm convinced that it doesnʼt. These people donʼt understand that political power goes hand in hand with the economic one. Serbia is rather weak economically. Although its political power is disproportionally big, it is not sufficient for Serbia to influence European matters. We are a small and poor state, which is a consequence of sanctions and wrong governmental policy in previous era, but there is no point in speaking of this today. It is simply a real condition and the way out for Serbia is to join the European Union as fast as possible. Not because it is an elite club but because it guarantees the compliance with certain standards as well as economic prosperity. The fact that Kosovo remains a part of Serbia enables the repeated opening of the question of its ultimate status on the ground of the European Union. It is a well known fact that the relationship between you and the state secretary Oliver Ivanović and the Ministry for Kosovo and Metohija is not the best. How does this fact affect the cooperation between the Ministry for Kosovo and Metohija and local Serbian institutions? MJ: The condition at the Ministry for Kosovo and Metohija is not proper. Disunity has reigned among its representatives in the course of last year. Minister Oliver Ivanović and the other state secretary have not met and coordinated their activities pertaining to Kosovo and Metohija for more than a year. Thus the ministry doesnʼt function in a relevant way. It is said that the position of Mr Ivanović has anti-Serbian basis primarily in view of his political activity in the course of last ten years. He was a representative of the Serbian List for Kosovo and Metohija and here, in Kosovska Mitrovica, he pushed through the Ahtisaari Plan. His political activities correspond more with the line of the US and the UK than with the ones of the Alliance of Serb Municipalities of Kosovo. 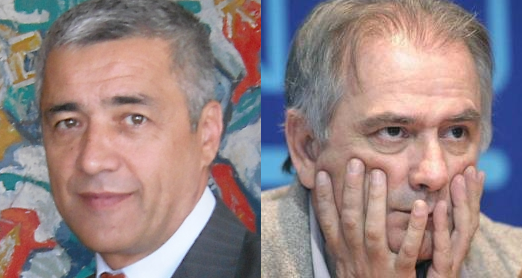 Oliver Ivanović has never got the right and legitimacy from the Serbian nation to represent the interests of the Serbs in Kosovo and Metohija. As a representative of the Serbian List for Kosovo and Metohija he obtained less than one per cent of votes of local Serbs. This means that he is a person in power at present but without the support of own nation. Anyway, he is supported by western states, which pursue policy for their own benefit as well as the benefit of the Albanians through his person. What is your view of the results of early local elections in the districts of Priština and Peć? OI: We have expected such results and they are no surprise to us. The Democratic Party of Serbia was beaten on both fronts, which isn’t surprising since its results have been blown up and artificially fabricated. Interesting is the fact that the Serbian Progress Party and the radicals entered the self-government. The radicals haven’t lost completely yet. Nonetheless, theyʼll lose like they have done everywhere so far. If the elections repeat after the next three or four months, they will bring another blow to the Serbian Radical Party. Iʼm especially glad about the return of the Social Democratic Party to political scene. I have never wanted to change political party and therefore I stayed in it. Iʼm convinced that this party has its place in politics. We gained 12.01 per cent and five mandates in Peć and only hardly can we imagine a coalition without us. I very well know we can enter a coalition just with programmatically close parties, we have to shape clearly and we cannot enter a coalition with the progressivists or nationalists. Otherwise we would lose credibility. As a consequence we have been in a condition of total hibernation and inactivity for two years. The result of our party and partner parties, i.e. the Democratic Party and the reformed Socialist Party of Serbia, are sufficient for constituting a governmental coalition in Peć. MJ: Tremendous pressure was exerted on us in these districts. There are small enclaves. For instance, there are hardly thousand voters in the district of Peć. Bizarre cases of vote manipulation occur there. The government in Belgrade takes up positions of power. People dependent on budgetary incomes, e.g. those working in education system and health service, are blackmailed to they vote for the Socialist Party of Serbia or the Democratic Party. Such a minor number of voters is easy to control. This pertains particularly to the district of Peć, with the so-called Dečani Fund, which was directly involved in the campaign. The principle was that everyone who had voted the Socialist Party of Serbia got one cow as a reward. It only documents the pressure exerted by Belgrade, which wants to demonstrate that its policy in Kosovo and Metohija is right and that it is upheld by the people. It uses every conceivable means in this context, namely state machinery and money, in order to acquire as many as possible votes with the aim of demonstrating the support of people in Kosovo and Metohija. Notwithstanding this, Tomislav Nikolić won in Gračanica. In the district of Peć the coalition composed of the Democratic Party of Serbia and New Serbia took the second place behind the Socialist Party of Serbia. However, one has to point out that these elections in Gračanica were repeated for the third or fourth time. This attests to the number of anomalies in these elections. In contrast to other local elections in Kosovo and Metohija, their results are not relevant owing to the pressure of Belgrade. Belgrade doesn’t have such means of population voting control in larger towns. How about your stance on the intention of Eulex to build customs on the administrative border of Kosovo? OI: They cannot do anything without agreeing with our Finance Ministry. They have three sectors and our three ministries act as their partners. It is necessary to solve the given question and I think that Eulex should take full responsibility for customs area if it wants to act as a partner. We don’t accept monitoring, mentoring and advising, we have advisors from the European Union and international organizations. We don’t need Eulex in the given context. Eulex has to understand that we donʼt need direct contact with the institutions of unilaterally declared independence. We don’t want to have it. Eulex must have an executive function in the given area and only afterwards can we negotiate with it. The absence of control over administrative border crossings, I don’t mean customs duty, but the control over crossings, may be just an obstacle. No one living in a civilised world may be satisfied with such an undefined condition. These checkpoints have existed since 1999. There is nothing new about them except for the declaration of Kosovoʼs independence, which we don’t recognize at all. We must weather this situation. Itʼs not our political as well as economic interest that the Kosovo Albanians have the goods by 18 per cent cheaper compared with us (18% is the amount of VAT in Serbia, editorial note). We have to know exactly what crosses the border and what serves for what. Eulex can help us with this regardless of the fact that we are not allowed to send there our financial and order police to control where the goods in question end. Cooperation is advantageous for us. It is the control over the movement of goods, irrespective of the position of the administrative border and the district through which the given goods pass, which we can gain by means of possible protocol on cooperation with Eulex. MJ: The construction of customs is one of the reasons why we are in conflict with Belgrade. Eulex conducts it slowly but surely and Belgrade permitted Eulex to build them. We have prevented the construction to some extent. We have built barricades and set up a task force for negotiations with Belgrade and Eulex. Eulex doesnʼt stand for thus much current issue any longer compared with Belgrade. Belgrade has been fighting for customs revenue which should be allegedly used for the financing of municipalities in the north of Kosovo. You would vainly search for a state trading in its room like this, i.e. by means of customs construction on some road in its own territory. That is the evidence of the insincerity of Belgradeʼs policy. Here it lets build customs symbolizing statehood in return for some dinars for the Serbs in the north of Kosovo, but not from the Government in Belgrade but from Hashim Thaçiʼs Government. Belgrade helps thus to carry out the Ahtisaari Plan, which constitutes factually independent Kosovo. Thatʼs why Belgrade and not Eulex is now the primary issue for the Serbs living in Kosovo and Metohija. And therefore we say to our friends from Belarus, Russia, Ukraine, Slovakia and Spain that Belgrade behaves insincerely and untruthfully in relation to the nations of these countries. Eulex doesn’t do things on its own but in collaboration with Belgrade, which builds customs inside its own territory and trades in own room. How do you perceive the fact that the Serbs in Kosovo and Metohija organize a petition for the departure of Eulex from Kosovo and Metohija and that they have been at the same time expecting the support of Belgrade according to their leaders? OI: Thatʼs a typical example of the political abuse of the Eulex topic. The people are stuffed with the tale that unless Eulex arrived, our police would come. This is by no means true: unless Eulex arrived, no one would come. Kosovo police service composed mostly of Kosovo Albanians would stay there. If you asked the same people a rephrased question, namely if they preferred the presence of an insufficiently organized and inefficient Eulex to the presence of the Albanians, Iʼm convinced that around 90 per cent of people would chose Eulex. However, this is not presented to the people as an alternative and therefore I say that it is a typical populism and abuse of the Kosovo issue for political objectives. It is done by the representatives of the Democratic Party of Serbia, the Serbian Radical Party and the Serbian Progress Party. They think that “the worse, the better” and I don’t want to go too far with speculations, but I wouldn’t wonder if these people decided to stir up the atmosphere of intolerance intentionally. Thatʼs very bad. In 1999, I saw the leadership stirring up atmosphere in the districts so that the people were prevented to stay in the given place and forced as many people as possible to leave. Their departure was supposed to spark not so much criticism and condemnation with the others: it isnʼt much proper from the political viewpoint if the leadership leaves and the nation stays. It seems to me that this is the core of the matter, but I think that it will be of little account and it also wonʼt drum up mass support. MJ: In this context it is important that we do our level best to prevent the origin of another Albanian state in the Balkans. For the very same reason we organize a petition pertaining to your previous question that Belgrade builds customs and a border here. Through this petition we want to leave a message for Eulex that it has nothing to do here and we also want to attempt to bring Belgrade to oppose the presence of Eulex. We have been gathering signatures against this mission so that no customs contract or border control contract is concluded between it and Belgrade. Our petition says that anyone who signs any contract with Eulex is a traitor of the Serbian nation. We see how the Eulex mission is carried out and how the Ahtisaari Plan is implemented. 70 thousand of our people have already opposed the arrival of this mission and we are repeatedly collecting signatures for its departure now. We don’t expect that Eulex really leaves, but we have clear conscience that we did our level best to protect our state. We hope that all players doing harm to their nation and state will be taken to court once. If somebody writes the history of our territory, he or she will be able to read who did what and how the state was sold for Schengen visa. Short time ago, one of the top representatives of the Serbian National Council of Northern Kosovo and Metohija Dr. Milan Ivanović was called for an informative interview due to participation in unrests linked with the construction of customs on the administrative border. Some days ago, the General Directory of the Kosovo Police commenced investigation into the actions of the Police Commander of Serbian nationality in northern Kosovo during the unrests in question. What is your attitude to the given events like? OI: To tell the truth, Iʼm not an adherent of unrests and the use of force for the achievement of political goals, but I condemn that Milan Ivanović, with whom I myself strongly disagree, was called on this basis. I cannot igonre that Ramush Haradinaj was set free in spite of clear evidence that he bears personal or commanding responsibility for crimes committed on the Serbs. And then they call people for being suspect of organizing violent demonstrations. Thereʼs a short interval between the mentioned events and it simply doesn’t function like this. Also in interviews with foreigners I said that I condemn it despite disagreeing with him. The fact that we do not agree with each other politically is one thing, but double standards used in this case is something else. On the one hand Ramush Haradinaj, Fatmir Limaj or Hashim Thaçi, who are prosecuted and accused of heavy crimes by parents and other witnesses, can be your major partners, but on the other hand you try a man, whom I don’t like at all though, because he might have organized violent demonstrations. As for the commencement of investigation, I don’t want to comment it. I cannot say that the investigation is to be suspended, but I can say that in principle I donʼt support something like this. MJ: In the course of last year, it is primarily US embassy, British embassy and EU civil mission which have been exerting pressure on Belgrade to cope with the so-called extreme Serbs, i.e. the Serbs who disapprove of an Albanian state taking root here. Therefore they started with cadre cleansings of those friends of us who were in political positions and opposed the factual establishment of another Albanian state. A typical example are the changes in the management of Kosovska Mitrovica hospital. Belgrade commenced cadre cleansings owing to the pressure from Brussels, US embassy and British embassy. Unfortunately, that was not enough for them so they went a step further and exerted pressure on political marginalization of the Serbs from Kosovo and Metohija through the threat of the imprisonment of their leaders. Dr. Milan Ivanović was accused of a verbal offence which he was supposed to commit on 10 February, 2009, around 50 metres away from the place we have been talking right now. It was a statement for the Media Centre in Belgrade in front of 50 journalists. The people were literally crossing themselves as they heard that, considering all the violence and terrorism around them, it was possible to call somebody on the basis of a verbal offence. Due to this offence he was called by the investigating judge who read him an accusation pertaining to his public statement. This fact itself attests how strong the pressure on the enfeeblement of the so-called Serbian resistance is. The assistance of Belgrade in terms of resistance suppression attests that it is governed by subjects conducting Albanian interests. As for the fact that an investigation of Milija Milošević, the commander of a police station in the north of Kosovo and Metohija, was commenced, I can say that the investigation is likely to meet its purpose and Milija Milošević will most probably turn anti-Serbian in two or three days. On 1 September, two Serbs were arrested for allegedly throwing stones at the Albanians. Pressure on local Serbs has escalated because the Serbs have been fighting against another Albanian state. No matter how the pressure on us escalates, I assume that theyʼre nervous because they understand that weʼre determined to win and not to leave this place. UN Secretary General proposed the so-called six-point plan on which Serbia insists and which regulates the status of the Serbs in Kosovo on those places where they represent majority population. The US, the United Kingdom and other subjects back it on the condition that an agreement between the Serbian and Albanian party will be achieved. Do you think that this plan amounts to future reality? OI: The plan is already being carried out now. Strange though it may sound, but it is being carried out. Predominantly the Kosovo Albanians and their leadership in Priština do not represent a leadership for the Kosovo Serbs. Thatʼs more than obvious. We both need something which will protect us against each other since we perceive each other as a potential threat. On the other side we need a kind of bypass enabling us mutual communication so that our separated worlds don’t come into conflicts. Thatʼs why a communication mediator is needed because the lack of communication is the biggest danger for stability and security. Therefore we need Eulex and the UN: we will never agree with the transfer of competences to local Kosovo institutions as they act as institutions of an independent state. We would block something like that in any situation and at any forum: That must be clear and no surprises may occur in terms of this question. If it is so, then the UN represents a messianic solution for us. Unfortunately I think that the Albanians don’t know it. In their romantic minds and political naivety they assume that if they eliminate the UN, conditions for their direct influence will be generated. However, that cannot happen: the presence of the UN cannot be eliminated by anybody except for the UN Security Council. Nowadays, this contains five permanent members two of which wonʼt change their stances on the given issue. One permanent member is enough to block any change, not to speak of two ones. Only the Albanians haven’t understood it yet, but they will do so soon. If they think one or two years ahead, they have to know that such a political instability is a tremendous obstacle to their economic development: this pertains to foreign investments and thus also to employment increase and social dissatisfaction reduction, which have remained rather bad for now. Nowadays, they have 350 thousand registered unemployed and around 50 thousand ones are sure to be not registered. There are more than 28 thousand registered unemployed Serbs and 5 or 6 thousand not registered ones. Thatʼs a striking number. It amounts to about 450 thousand not unable to work but unemployed people. Kosovo does not even create conditions for the employment of 5 percent of these people. This is possible solely by means of public works requiring foreign investments, private funds and western private investments. Nevertheless, the conditions are political stability, legal safeguard and infrastructure that we lack. Although works on roads and railroads were commenced, problems with electric energy and water supply as well as communications linger on. Lack of qualified labour force is a problem as well. They don’t have labour force with professional qualification, just labour force suitable for manual works, which wonʼt attract anybody anyway. In Romania, Hungary, Bulgaria, the Czech Republic, Slovakia, but also China and elsewhere they have professionally qualified labour force, political stability, legal safeguard and infrastructure and therefore the investors have no reason to come here. Our only advantage is that we are relatively close and that we have cheap labour force. The two arguments mentioned, however, are not enough for us to be attractive for investors. If the Albanians thought properly, they would be interested in creating political stability. MJ: I think that this plan is an insincere lie. Itʼs a political deception. There is no sign that something real is going to be done in this context. This plan only serves Belgrade for redeeming itself in the eyes of the Serbian public due to the arrival of Eulex. They say to people that they will enable the arrival of Eulex on the condition that the six-point plan will be carried out. This plan, however, wasn’t signed by anybody, neither Ban Ki-moon nor Belgrade. There is no bilateral agreement and even a relevant agreement between Belgrade and any other state hasn’t been signed. It is all Belgradeʼs lie serving for the justification of the arrival of Eulex. Itʼs only empty words and verbal declarations which don’t mean anything. Hashim Thaçi and Fatmir Sejdiu are against the conclusion of the contract between the Serbian Interior Ministry and Eulex describing it as a part of the six-point plan. Does Serbia back the presence of Eulex for the reason mentioned? OI: Thatʼs what Iʼm talking about. It attests to their utter political naivety. They both actually constitute a ruling coalition and the opposition tries to discredit this coalition through the arrival of Eulex as every opposition tries to destabilise the supreme power. They both were pushed to positions in terms of which they resist the arrival of this mission instead of explaining the positive features of Eulex. Is the rule of law in common interest? Yes, it is. No matter if it applies to a Kosovo Albanian in Kačanik or Priština, or a Serb in Leposavić or Donja Brnica. Does terrorism pose a threat? Yes, it does, although the Albanians don’t perceive it that way and ordinary people still looks at it charitably. There must be such an international pressure here which would prevent the establishment of terrorist groups the potential targets of which are also foreigners. Is the fight against organized crime in their interest? They declare verbally that it is. However, they don’t behave like that at all. It is quite logical that if such a contract is concluded in terms of regional cooperation, it should be upheld. Eulex has planned and conducted such contracts. It concluded it also with other Balkan states, including Albanian Interior Ministry. So why not conclude it with Serbia? The ground for their resistance is the utter naivety and the dream of complete independence. MJ: Thatʼs another big political deception fabricated on the axis Belgrade – Brussels – Priština. You needn’t be very wise to grasp that the Albanians don’t have a reason to rebel since by means of that contract they will achieve the legalization of borders with Central Serbia. The reason of the alleged disapproval of the Albanian side is Belgradeʼs redemption in the eyes of the Serbian public: when the Serbs see that the Albanians don’t support the contract, a part of them will be convinced that it is good for them. Albanian disapproval is addressed to the Serbian public in this way. Watching Albanian demonstrations in Prišitna in television, we don’t see anything going on spontaneously, just scenes made by a Hollywood movie crew. It is a ridiculous counterfeit. Sitting with our friends from Russia and other states which didnʼt recognize the independence of Kosovo, I see that they comprehend that it is a theatre intended for the Serbian public so that it accepts the arrival of Eulex while the Albanians back totally the passing of this contract. This theatre is necessary because we Serbs disagree with the arrival of Eulex, protest against it and organize petitions, gatherings etc. Thatʼs why the Albanians acceded to this game in terms of which their alleged disapproval of Eulexʼs presence is demonstrated in front of the Serbian public. Kosovo Albanian activist Albin Kurti and his non-governmental organization Self-Determination (Vetëvendosje, Samoopredeljenje) arrange protest actions and claim that the government in Priština interrupt communication and collaboration with Eulex. Is the cooperation with Eulex and the legitimization of its presence in Kosovo in Serbian interest? OI: I am positive that Albin Kurti and his organization are not alone. Itʼs quite sure that they are supported by at least two Kosovo Albanian political parties out of which one is in the opposition and the other in power. Kurti presents the political attitudes of these parties before the mentioned political parties themselves present them. Thus the public is prepared for such stances. The parties in question reinforce so their position on the political scene. Technical part of the protocol on the cooperation of our ministry with Eulex will only contribute to the early disclosure of organized criminality, terrorism and other illegal activities. Another problem is that for these people, no matter how absurd this may sound, drugs are pivotal. Drugs are an important priority but not the most crucial one. They may take the fourth place in their priority rankings. Of course, these things are a major social threat and Serbia as well as any other state has the need to protect itself against them. Regional aspect is significant while the West looks at our region very suspiciously just because of organized criminality, corruption and terrorism. Drugs and terrorism go hand in hand and therefore the West insists on the conclusion of the mentioned agreement. Not Serbia, but the West, which is interested in preventing the movement of untaxed goods, insists on it. MJ: It is a well known fact that Albin Kurti, whenever it is necessary, acts according to the interests of the Government in Priština. If some protests are to be organized, for instance the throwing of rotten tomatoes or some other kind of protest against the Kosovo Government, he directs a theatre serving particularly the needs of the Government in Priština and western mentors, namely the US and the United Kingdom. What they say, however, still doesn’t mean anything – it is just a signal addressed to the Serbian public that the Albanians rebel so that the Serbs think that if the Albanians rebel against something, this must be a useful thing. Itʼs a curtain for the US thanks to which Belgrade my say that the Serbs rebelling against the arrival of Eulex are bad. The same scenario was used in last yearʼs November when Eulex was supposed to come. The Albanians rebelled that way, Albin Kurtin and his movement protested against Eulex the same way. As a consequence the Serbian public turned against the Serbs in Kosovo and Metohija thinking that if the Albanians rebel, Belgradeʼs decision must be correct. We have already seen the way the Albanians rebel today and it is clearly readable. Again is it a theatre with the same directors and actors on the axis Belgrade – Brussels – Priština. I suppose that in the foreseeable future this political deception will come out and its participants, on the part of Belgrade in particular, will be taken to court in order to be called to account for what they did. Kosovo security forces originated on the basis of Kosovo defence troops which arose by the transformation of UÇK. What is the background of persons leading Kosovo security forces like? OI: I have the list of these persons. A warrant is issued for the arrest of some of them in Serbia and they are accused of committing serious crimes. I believe that sooner or later they will be arrested and taken to court. Although somebody might be disconcerted, the Serbian state is obliged to facilitate, if any person is accused of crime, that he or she is prosecuted by prosecutor or investigating judge. The composition that I have seen is mixed. Certain part is composed of former UÇK members from Kosovo defence troops. That was their only qualification. Another part of these people was eliminated. As a nation we have been harbouring tremendous mistrust to their armed formations. We think that 2,500 people aren’t thus much enormous force to endanger Serbia. Serbia would solve such a problem easily. The problem is that these 2,500 people pose real threat to isolated enclaves situated predominantly south of the river Ibar. I think that the support of its transformation and sponsoring by NATO was a mistake that caused tension and the chill in relations between the US and Serbian armed forces. This is harmful to NATO as well as Serbia. Regardless of the fact that it wasn’t designed as future armed forces, as western ambassadors and foreign affairs ministers are assuring us. It is not future army, itʼs just a tiny upgrade of Kosovo defence troops consisting in the exchange of a part of weapons, light combat vehicles etc. Serbia wonʼt take part in this process and regards it as a threat. It is difficult to communicate with somebody whom you absolutely do not trust and who is still in the same formation and the same uniform. The declaration of Kosovoʼs independence solely diminished the possibility that anybody could deliberate on it seriously. MJ: Itʼs important to realize that Albanian armed forces have been growing stronger, they are trained by western professionals. On the other hand our forces are eliminated and their level has been sinking day by day. We have the so-called emergency military service in terms of which the Serbs serve as cleaners, hygienists etc. while the West creates professional army for the Albanians in accordance with the latest standards. Thatʼs why I usually answer the question, namely if we want a war with the Albanians, saying no as I consider the condition of armed forces because Albanian forces will arrive in Belgrade earlier than Serbian ones in Priština. Have you got any knowledge of some Serbs joining Kosovo security forces? OI: We haven’t got any knowledge of that. I know that about 25 Serbs were in Kosovo defence troops, but nobody has ever seen them. I received data on these persons, but I didn’t go further: it is their constitutional right anyway. It sparked political condemnation with us and I think that these people joined it owing to monthly salary amounting to approximately 200-300 Euro. As far as Iʼm concerned, such people aren’t in Kosovo security forces yet. According to my information there were several candidates, but that was all at this stage. I haven’t got information about these people signing contract on service in Kosovo forces. MJ: No, I havenʼt for now, but it is not ruled out that something like that will happen in view of the fact that a relatively large number of them serve in the so-called Kosovo police service. The position of Belgrade isn’t clearly defined as for this question. It recommended the Kosovo Serbs to join Kosovo police and subordinate thus to the command of Hashim Thaçi and become a part of peace forces of the so-called Kosovo state. Just imagine what would happen to these people if there was a conflict between Central Serbia and Kosovo in the future. Does the Serbian interior ministry cooperate with Kosovo police service in some questions? MJ: We think that it cooperates, although it doesnʼt do it in a transparent way, but in a way camouflaging the cooperation. I will give one example: this year the chief of the Kosovo police service has come to Leposavić with the aim of visiting the police station. The Serbs prevented his arrival by throwing stones at him and forced him to turn back in Kosovska Mitrovica. The Serbs who organized the protest against the arrival of the Kosovo Albanian, who is a representative of Hashim Thaçiʼs Government, had to face severe criticism particularly by the representatives of the Serbian Interior Ministry. The reason was that their behaviour was not in line with Serbian Governmentʼs policy. What does this attest? It attests that Belgrade doesn’t collaborate publicly but in secrecy without confessing openly this cooperation. Kosovo PM Hashim Thaçi used to control a considerable part of criminal business in Kosovo. Have you got any information that Kosovo Albanian leaders are still directly involved in organized criminal activity? OI: I haven’t got any concrete information, but our intelligence services have. They know their activities and it is no secret that we have complete profiles of all these people. The fact that I havenʼt got them doesn’t mean anything since Iʼve been working in a different area. Those dealing with these questions have complete data on the activities of persons in Kosovoʼs top leadership pursued not only during but also beyond their office hours. MJ: We don’t know exactly what kind of criminal activity Hashim Thaçi and other top representatives of the government in Priština pursue at the moment. Nevertheless, I had the possibility of communicating with Thaçi at the international talks in Vienna and I had yet better possibility of seeing the results of his activity during the war. In the period from 1992/1993 to 1999/2000, I worked in Kosovska Mitrovica (as a doctor at the orthopaedic clinic of the hospital in Kosovska Mitrovica, editorial note). A huge number of innocent civilians and police members wound up in our hospital. Lots of them were killed and seriously wounded under the command of Hashim Thaçi also known as Viper. I had the possibility to see the results of his military command during these seven or eight years and I very well know what kind of man he is. Nonetheless, we haven’t got any information of what he has been currently doing as we don’t use the press, media etc. How do you comment the fact that according to information from the media the former Justice Minister of the Slovak Republic and incumbent Chairperson of the Supreme Court knows well the Albanian mobster Baki Sadiki? OI: We havenʼt got any information about this, but it is interesting and I would like to look at it. MJ: They function as a well-organized group throughout Europe, in Slovakia, the Czech Republic and other states. They used to pursue their activities in Germany, the Netherlands and Belgium where they were pushed away by other criminal group. Theyʼre rather strong in the United Kingdom, Poland, the Czech Republic, Slovakia and Hungary. Theyʼre organized on a family and clan principle. They control relatively many people working also in governmental spheres and therefore it is no surprise to me that they control even certain number of ministers. Some time ago, the fact that the Albanian entrepreneur Bedžet Pacoli was a former Russian President Boris Yeltsinʼs family acquaintance was openly discussed even in the sphere of the Serbian Government. Itʼs a well known fact that organized criminality in the north of Kosovo is well-developed. What measures does the Serbian Government take in this context? OI: We have made certain normative decisions making the possibilities of smuggling goods, i.e. fuels, more difficult. We have been exchanging information with Eulex on how the goods land in the territory of Kosovo and Metohija as well as the whole of relevant information. To know the places where smuggled goods are hidden is crucial since we know that it is not the Kosovo Serbs but the Albanians who get such goods which abandon the territory of Serbia and end in the territory of Kosovo. It is advantageous for Albanian inhabitants because of tax dodging. Thatʼs why we have been closely cooperating with Eulex in this field. MJ: The statement that there is high crime rate in the north of Kosovo is untrue. According to all UNIMK mission reports the crime rate here in the north of Kosovo has been the lowest for last eight or ten years. This statement is the result of the work of western propaganda and the Albanian party. Nevertheless, UNIMK reports regarding the period 2000 – 2008 show that the crime rate in the north of Kosovo, where homogenous Serbian population has been living, is the lowest. This statement is used particularly owing to political reasons: so that this territory comes under Albanian control. The north of Kosovo is declared a criminal centre so that the Albanian control is justified. Unfortunately not only Albanian politicians, but also certain part of Serbian politicians, who, however, work in favour of the Albanians, i.e. Oliver Ivanović, Rada Trakvović etc., speak of high crime rate. Everyone knows that the work on the establishment of another Albanian state in the south of Kosovo has been already finished and therefore it is necessary to finish the work also here in the north of Kosovo. And the struggle to discredit it by means of alleged high crime rate represents one of the means of dominating it.